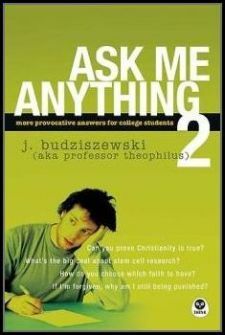 You guessed it: Ask Me Anything 2 is the sequel to Ask Me Anything. As you can see by comparing the tables of contents, this time the collection of dialogues, correspondence, and comments is organized around different themes; it is aimed at young people just a little more mature in Christian faith. Although I wrote the first book as a Protestant, and the sequel after becoming Catholic, I had been a Catholic-friendly Protestant, and I am a Protestant-friendly Catholic. So it won’t be surprising that both books are popular with both groups. It also includes lots of letters from real people who reacted to these dialogues and asked questions, which I answer in the book.